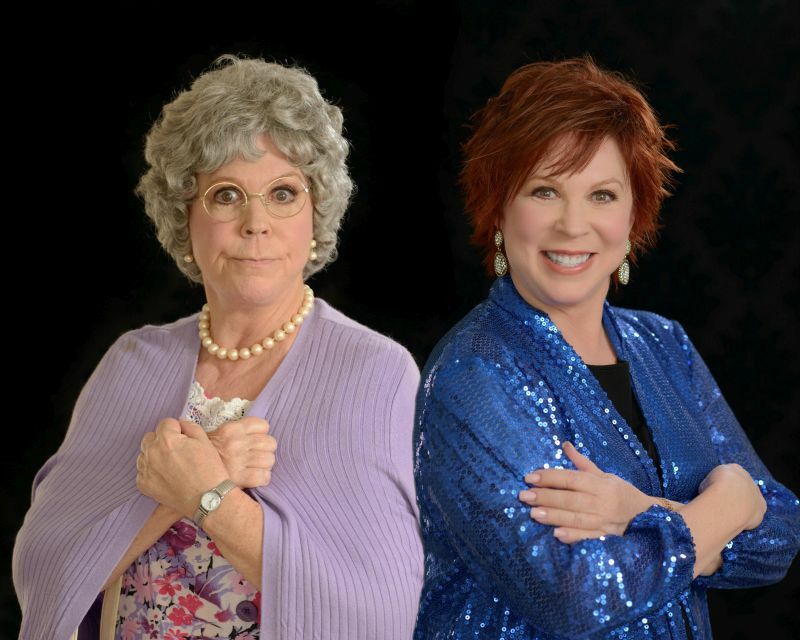 Multi-talented Vicki Lawrence was born in Inglewood, California where she excelled in dancing and singing, was a cheerleader and was voted “Most Likely to Succeed” by her graduating class. From 1965 to 1967 Vicki sang with the Young Americans musical group and also appeared in the feature film “The Young Americans” which won an Academy Award for Best Documentary. After the Burnett show ended, Vicki went on to star in her own TV series, “Mama’s Family” with Ken Berry, Dorothy Lyman, Beverly Archer, and Allan Kayser. The last original episode was made in January of 1990, completing five years of first-run syndication. The show still can be seen daily throughout most of the country. Vicki further perfected her hosting skills on her own daytime talk show, appropriately called “Vicki!,” from 1992 to 1994. She received critical acclaim when she was the only talk show host since Oprah to be nominated for a Daytime Emmy in her freshman year. In the fall of 1997, she briefly returned to daytime talk as the host of “Fox After Breakfast” from New York City. Recently Vicki was invited to join The Board of Trustees for Miller Children’s Hospital at Long Beach Memorial Medical Center. One of only eight children’s hospitals in the state, Miller Children’s Hospital was dedicated in 1970 as a community, non-profit hospital and now services patients within a 100-mile radius in LA and Orange counties. Vicki also hosts the annual WALK FOR THE CURE in her hometown where all the proceeds go to breast and ovarian cancer research at Long Beach Memorial Center.